Games and sport had been introduced by Guttmann as part of the rehabilitation programme. He recognised their value in encouraging fitness, introducing competition and providing pleasure. 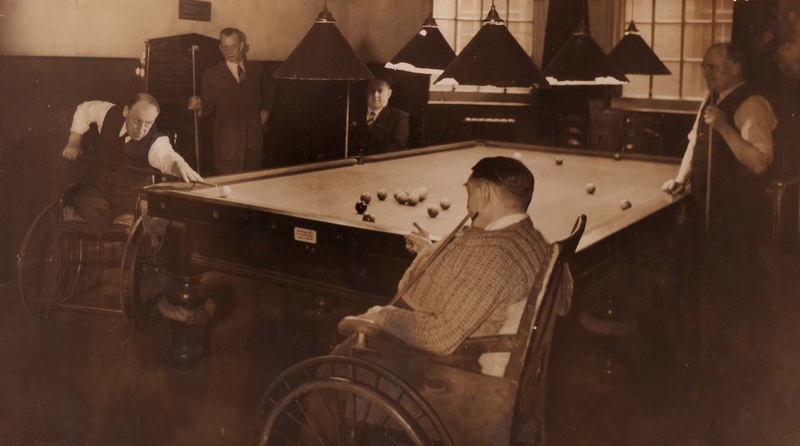 Once spinal patients were up and into wheelchairs then they could take part in games like darts, billiards and skittles. 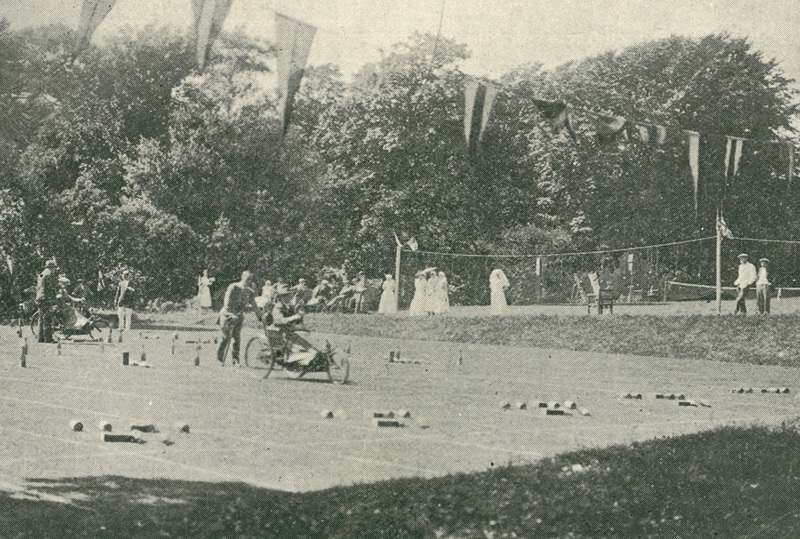 Then there was an indefinable point at which some of the gym and physiotherapy activities - like using a punch ball or throwing a medicine ball - could move across and turn int a sort of competitive sport. Teams with medicine balls at Stoke Mandeville. 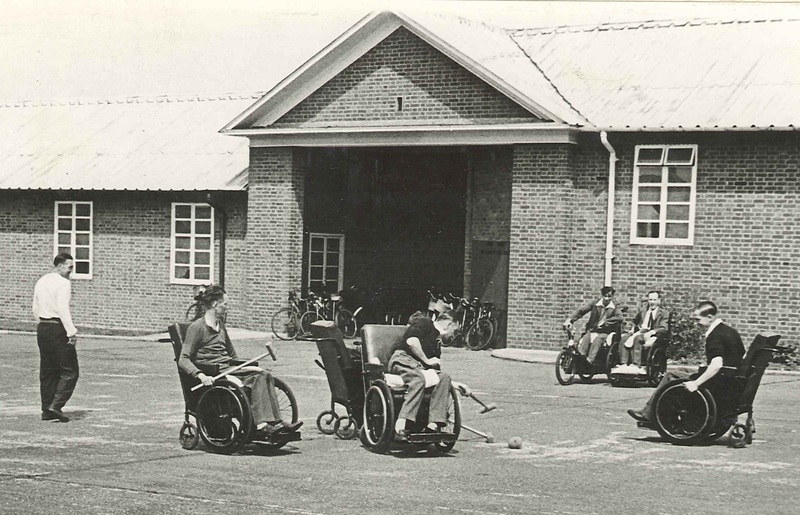 What started as physiotherapy began to turn into a team sport. The very first sports event using wheelchairs was probably the 1923 sports day at the Royal Star and Garter home in Richmond, Surrey, where a group of disabled ex-servicemen competed in a Zig Zag obstacle race in their rather primitive wheelchair tricycles. 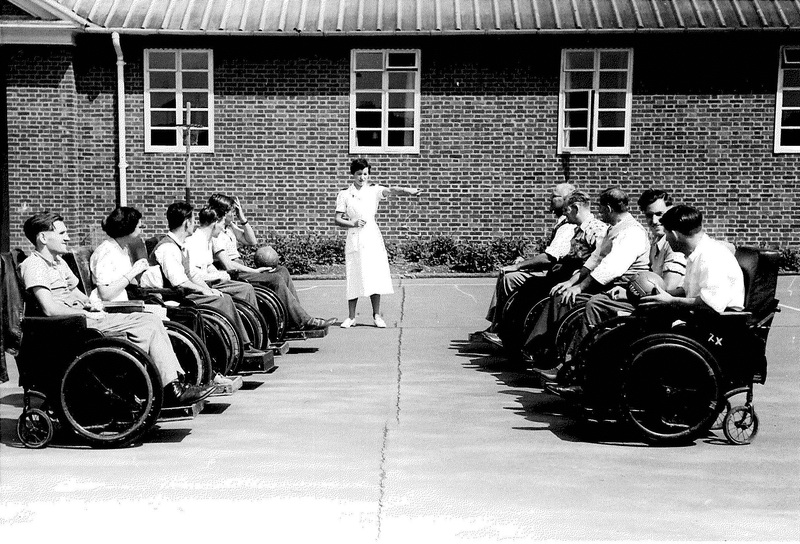 "Look at the change in wheelchair design! They have got the larger wheels at the front; they would have been much harder work and with an awkward weight distribution." 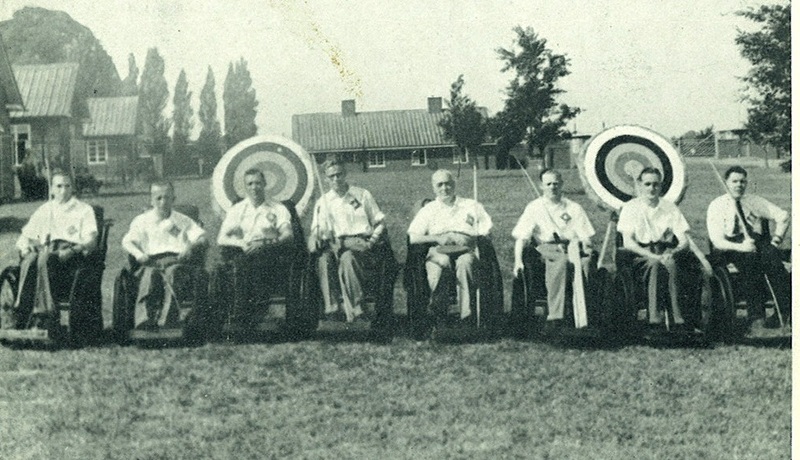 The first wheelchairs at Stoke were known as "travaux" chairs. "They were like brown leather armchairs on wheels and apparently very comfortable, even if not very manoueverable." All sports, even netball and basketball, were done in them. Dingwall and Everest and Jennings chairs were first introduced in 1948 and 1949 respectively. A decade later sport had become completely integrated into the hospital routine, both for its therapeutic and rehabilitative value and as a way of encouraging competition among patients. 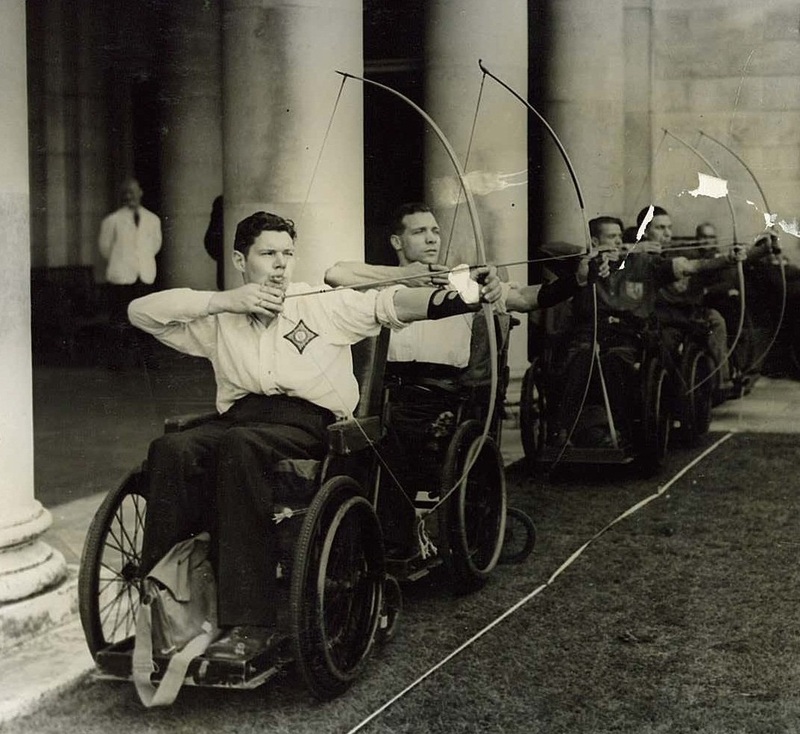 The first Archery Tournament at Stoke Mandeville Hospital on 27th July 1948 was won by the Royal Star and Garter Home team.